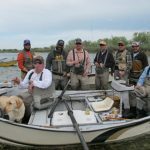 Project Healing Waters is a program that gets disabled vets out of their heads and into the water, providing a level of separation from the medical and emotional challenges of their past service in the military. 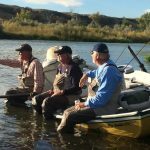 The program exists to leverage the peace that fly fishing uniquely provides. 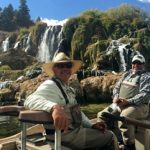 Project Healing Waters is 100% staffed by volunteers in Denver, 100% free for disabled veterans, and 100% locally funded. 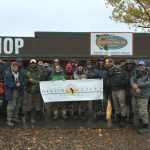 The VA has recognized Project Healing Waters as a “Top 30” organization for efficacious outcomes for the veterans it serves. Simply put, a day on the water provides real, tangible healing.